Now that school is back in session fall is almost here. That means fall sports, fall activities, and fall illnesses. We want you to be prepared for all of the busy activities you and your kids will be involved with this season. We all worry about the kids getting sick when they return to school. With so many children from so many different homes and backgrounds there tends to be an influx of germs. How do we combat this? HAND WASHING. Lots of hand washing. While we cannot control how often our kids wash at school, we can give them the tools to do what needs to be done. Teach them how to wash properly, and remind them how important it is to wash. Washing leads to less germs. Which means they have more time to play, run, and learn without getting sick. Try teaching them to sing their Abc’s while they wash. And wash with soap (about a dime-size) and warm water. It doesn’t have to be hot, just warm. Makes sure they understand to scrub the front, backs, between the fingers, and around the finger nails (including underneath the nails). One way I have found to help keep germs at bay is to keep a first-aid/hand washing kit in the car with me. When I pick the kids up from school they put their backpacks in the back of the car and they use some hand-sanitizer to cleanse their hands from school. I have also found it useful to keep a first-aid kit with me in the car. It is simple to keep in the back, and I will never worry that I need something. The best part about keeping a kit like this with you in the car is you always have it with you. SO if your kids get hurt at soccer practice? Playing at the park? All you need to do is break out the kit and bandage them up. Check out this simple DIY kit. You can even add more customized items if you know what types of things your kids might need for other health or injury issues. Many stores even sell ready-pack ice packs that do not need to be frozen and can be activated on site. 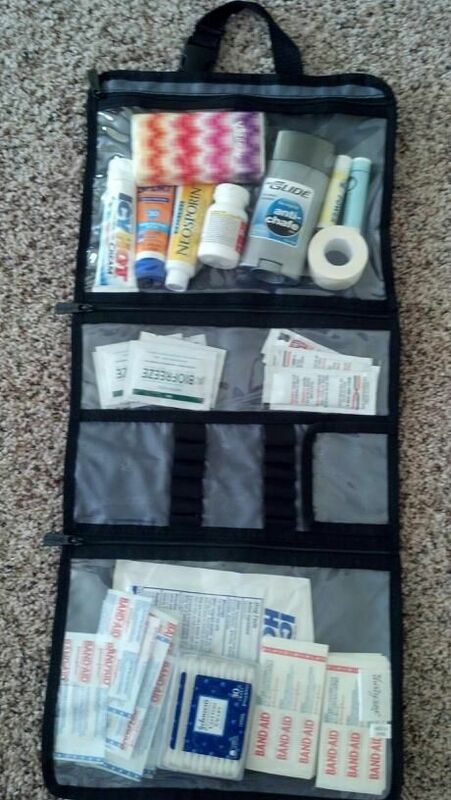 These make perfect additions to any first-aid kit. Now enjoy your season with a little more peace of mind. 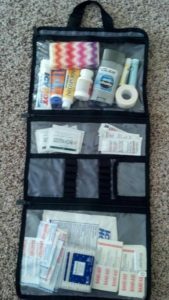 This entry was posted in Activities, Health and tagged Activities, car kit, DIY, fall, first aid, first aid kit, germs, hand washing, Health, parents, park, practice, safety, School, sick, the boys store on August 22, 2017 by Lacy.